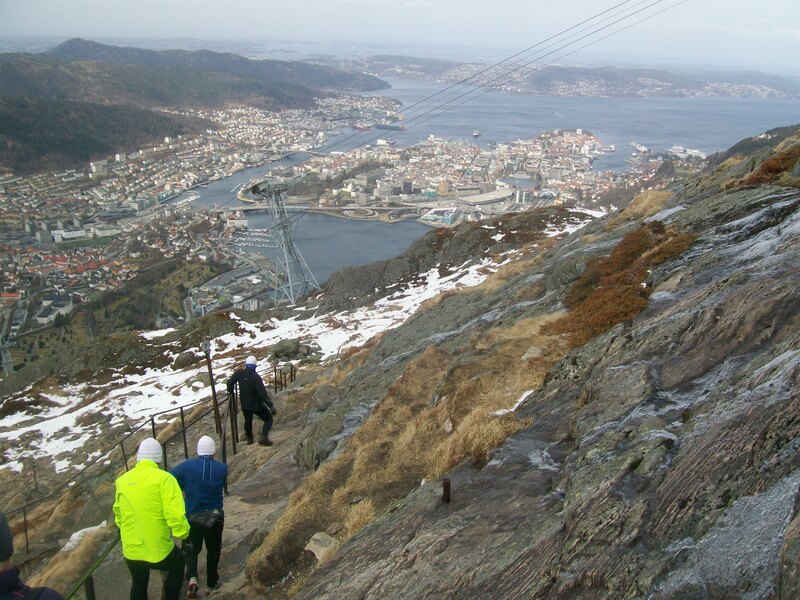 Having climbed half way up Mount Ulriken to reach Hostel Montana, I completed the climb in the morning. It had clouded over, but was dry. As Britain had finally started to warm up after a long winter, it was also cold, with temperatures only just above freezing. 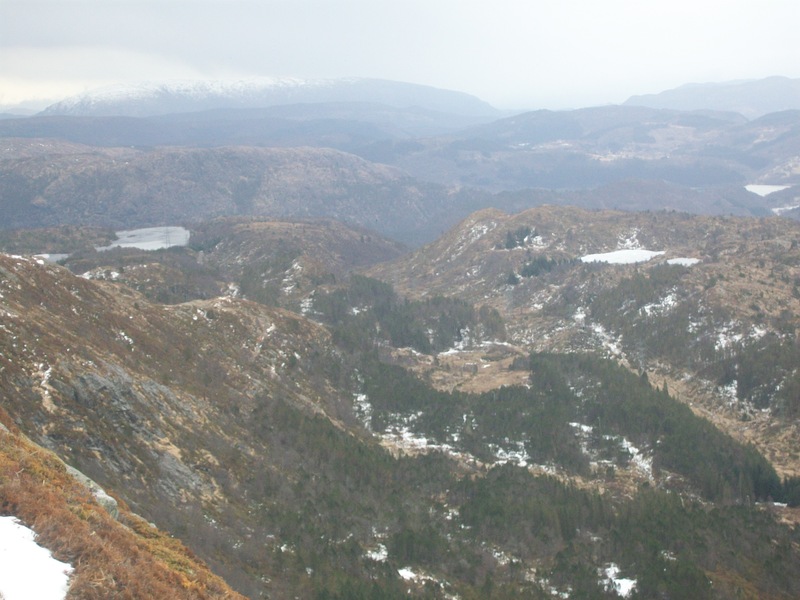 Mount Ulriken is the highest of seven mountains forming a natural amphitheatre inland from Bergen’s sea. 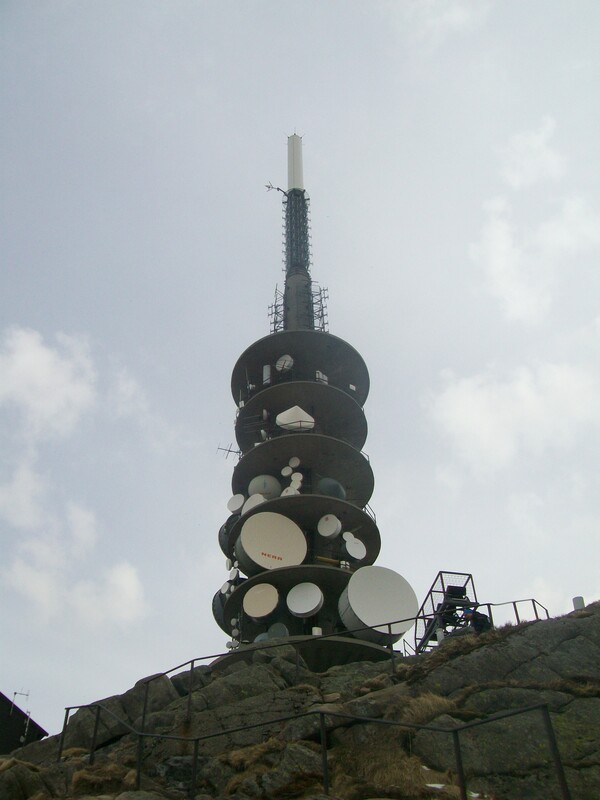 Ulriken is 643 m (2,110 ft) high; about half the altitude of Britain’s highest mountain: Ben Nevis is 1,344 metres (4,409 ft). 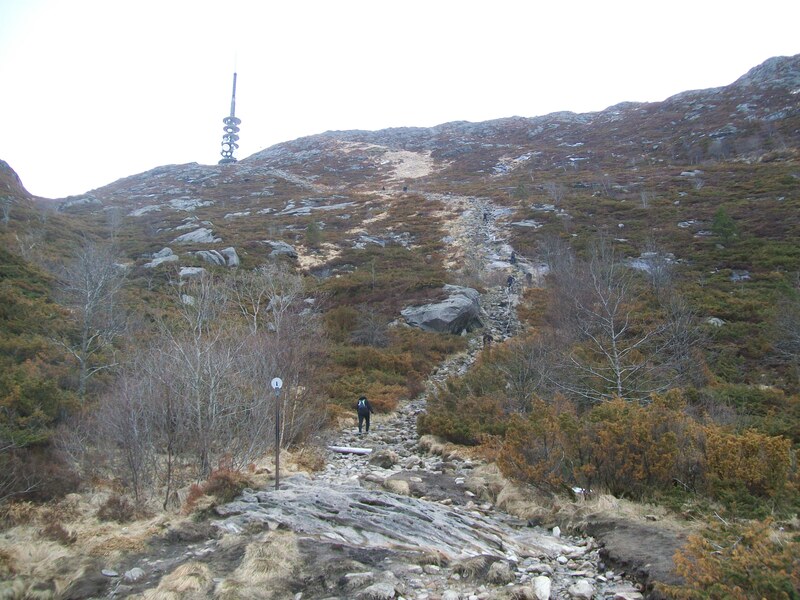 Norway‘s highest peak is Galdhøpiggen at 2,469 m (8,100 ft). Frozen lakes visible from Mount Ulriken peak. 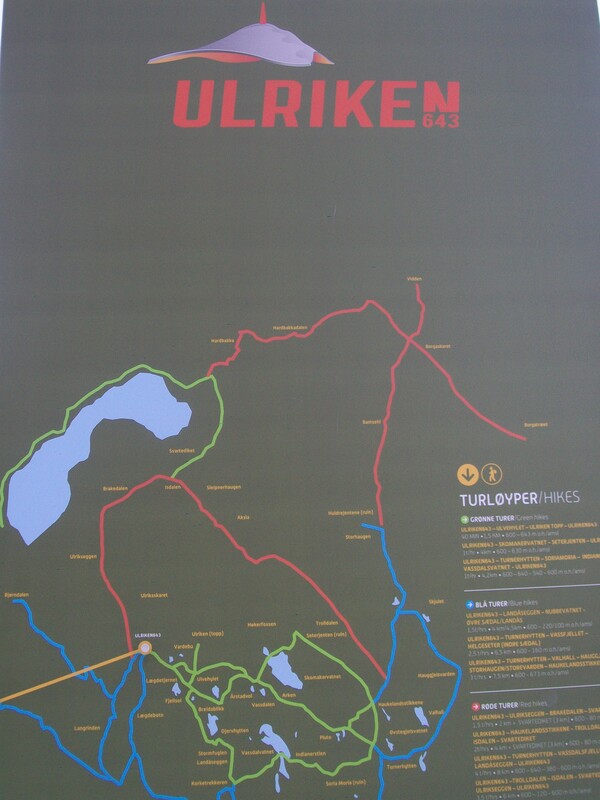 Mount Ulriken map and details. 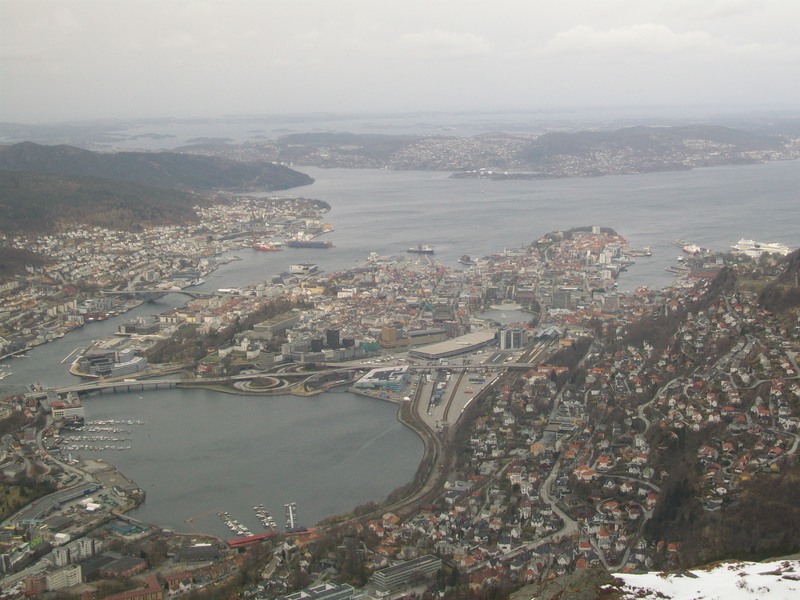 Bergen city, sea and fjord from Ulriken peak.